When Kennedy took office, America was cautiously moving toward manned flight in increments, always a step or two behind the Soviet Union; by the time he was assassinated, the country had committed irrevocably to go to the moon and was at work on a crash program to do it. 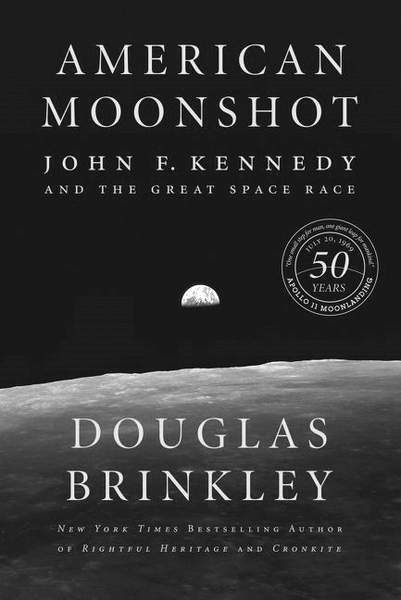 With a mixture of granular detail from a gigantic body of works on the subject and analyses of Kennedy's decision-making and political savvy, “American Moonshot” transcends mere narrative to help the rest of us understand how America geared up for the astonishing feat of landing a man on the moon. With the approach of the 50th anniversary this July of Neil Armstrong's “small step for man,” Brinkley's focus on the all-important early days provides a valuable perspective. 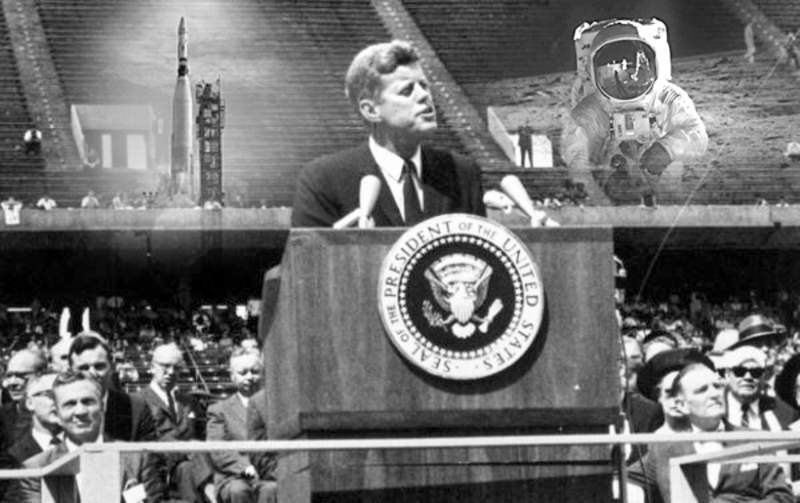 Brinkley deftly shows the tense atmosphere that surrounded Kennedy's special message to Congress on May 25, 1961, calling for a widening commitment to the space program. A few days after the Soviets' success, the United States suffered a political and public relations disaster when the Cubans routed the CIA-sponsored Bay of Pigs invasion. In anticipation of Kennedy's special message to Congress, the media speculated that the president would deliver “a comeback address, redirecting [his] high-minded optimism and undeniable energy after the double wallop of Yuri Gagarin and the Bay of Pigs,” Brinkley writes. Thomas Oliphant, a retired Boston Globe columnist, is the author with Curtis Wilkie of “The Road to Camelot: Inside JFK's Five-Year Campaign.” He reviewed this book for the Washington Post.